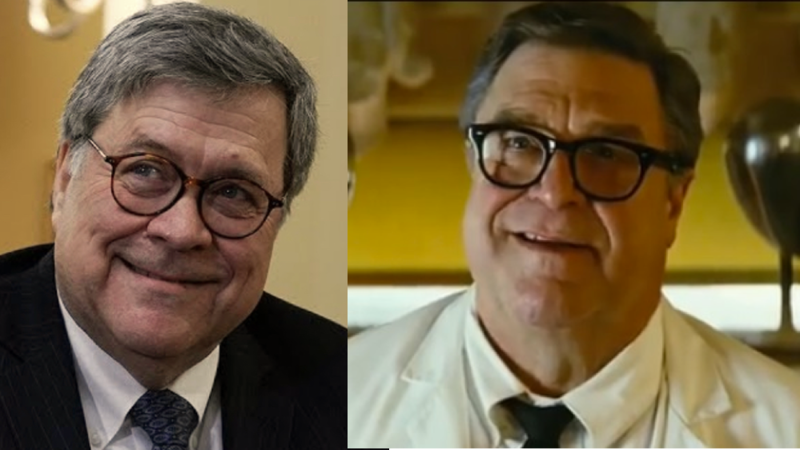 Just as an aside -- does anyone else think John Goodman will play Barr in the "Game Change" movie? (I believe he played him on SNL and that's where this pic came from). Yeah, the teevee hype is annoying me. The Mueller report is going to be very heavily redacted and will reveal little, if anything at all. After the House committees get it via subpoena and get a court order allowing them to release the full report, then I'll hold my breath. I hate what we have become as a nation. I really, really miss Hope and Change. It’s not just they take priority. Child support and spousal support are nondischargeable. That’s in bankruptcy. Not sure about CA receivership law. Um, I'd describe it as like a puffer fish, but that would be insulting to puffer fish. Oh, she was forced out. She allowed Judge Flores to expand the class of separated children by thousands. So very sad. That poor family. Also, boy was Alex Jones nervous!?! Rubbing his hair, tugging at his shirt, shifting and squirming. You'd think he had something to hide. Mr. Jones, do you know what an office is? Oh but he’s the world’s best negotiator! Evuh!